Some of my photos are now for sale on Society 6! 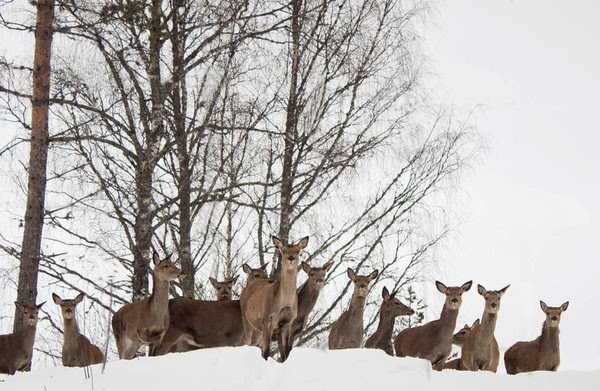 Here you can see one of my favourite deer photos in some of the different styles that are available. All photos are gallery quality Giclée print on natural white, matte, ultra smooth, 100% cotton rag, acid and lignin free archival paper using Epson K3 archival inks. They also come with a custom trimmed white border for framing. I really loved the framed versions. 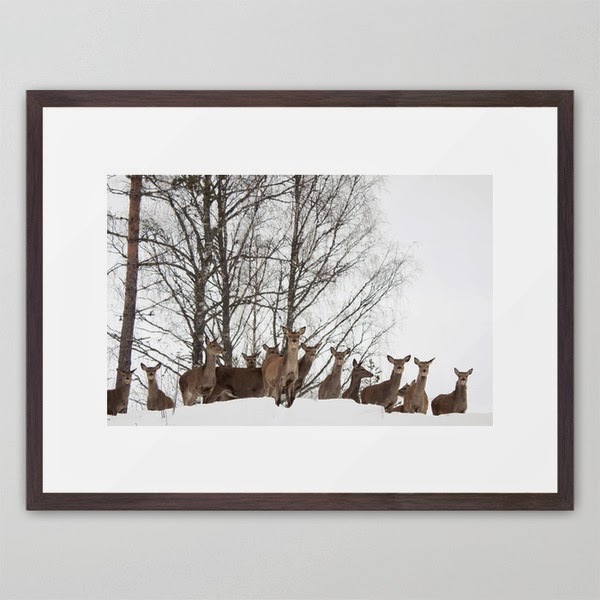 A beautiful frame really accentuates the photo and gives it such an exclusive touch. 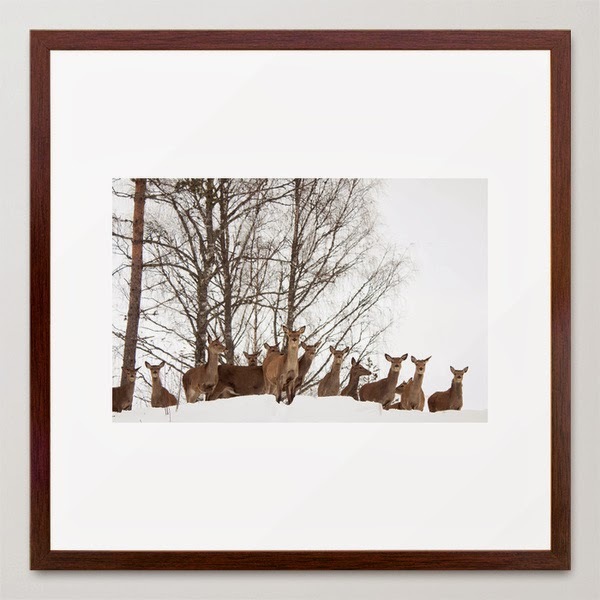 On the website you can choose from lots of different frames and photo sizes. 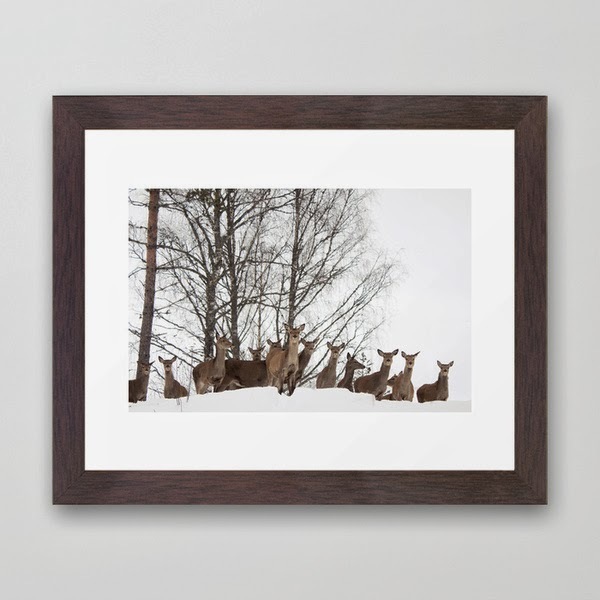 For this photo, I really like this dark, wooden frame, called conservation walnut. The Conservation Series frame is made from solid wood claimed from socially and environmentally responsible forests. It has a clean and contemporary 0.75" wide x 1.25" deep profile with a smooth veneer finish. 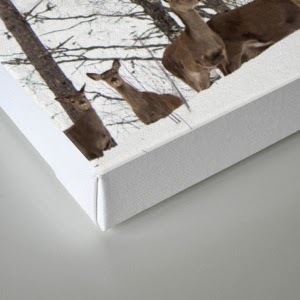 Premium shatterproof acrylic protects the face of the art print, while an acid free dust cover on the back provides a custom finish. And they all include wall hanging hardware. You can also preview what the photo will look like in different sizes and with different frames, which is pretty fun to see. The look of the photograph can change completely depending on what colour you choose to frame it! This way if you choose to buy an art print of the photo, but prefer to frame it yourself, you can also get good ideas on what style would suit it the best. You can also get the photo as a stretched canvas in two different sizes. 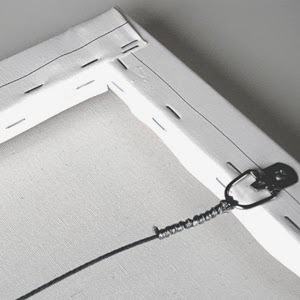 This looks really neat on a clean white wall and can be the centrepiece in any room.